B'Cool Front 26 Inch Bagger Fender, Does Not Come Painted..
B'Cool Front 23 Inch Bagger Fender, Fenders Do Not Come Painted..
B'Cool Front 21 Inch Bagger Fender, Very Good Conditioning.. FACTORY PRODUCTS BAGGER 26" FRONT WRAP AROUND FENDER2 PIECE STEEL FENDER FITS 26 X 3.5 WHEEL..
Fender for Harley 23 Wrap around frontThese sleek 2 piece steel constructed heavy duty front fende..
Fender for Harley 21 Wrap around frontThese sleek 2 piece steel constructed heavy duty front fende..
Fender for Harley 26 Wrap around frontThese 2 piece steel constructed heavy duty front fende.. Factory Products, Extended Steel Rear Fender. 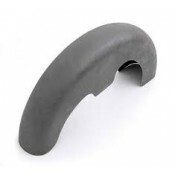 Factory Products, High Quality, Durable Steel Extended Rear Fender, Great For Use With Extended Bags.. 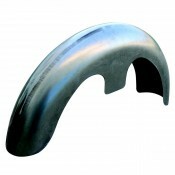 Factory Products, High Quality Custom Extended Wide rear Fender, Fits a 1998 - 2008 FLHT. 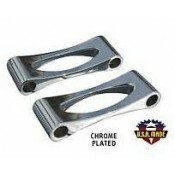 Perfect Fo..
Harley Stainless Steel Front Fender Kit With Side Spears, Fits a Big Twin 1949/ Later.Features.• Hig.. CUSTOM STEEL FRONT FENDER FOR NARROW GLIDE 19" & 21"
CUSTOM STEEL FRONT FENDER FOR NARROW GLIDE 19" & 21" OR WIDE GLIDE CUSTOM.. 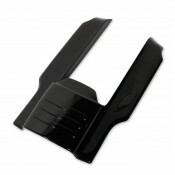 Factory Products, Extended BAGGER Fender Bracket, Covers Space between Fender and Bag. 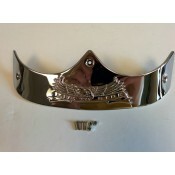 Fits 200..
FENDER SPACERS for WIDE GLIDE FRONT END.. 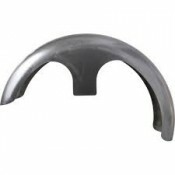 Factory Products, Large Universal Fender Tip, FL and FLH. 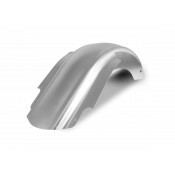 Factory Products, Large Universal Fender Tip, Fits FL and FLH Rear and Front Fenders. Sold Individua.. Factory Products Rear Passenger Suction Seat / Pillion Pad10" x 6.5" with 6 Large Suction Cups..